Our Doctors - The Eye Center Inc.
Dr. Robert C. Feldman is a board certified ophthalmologist. His undergraduate degree is from Boston University where he graduated with honors. He received his medical degree from Boston University School of Medicine and completed his ophthalmology training at the Boston University Medical Center. 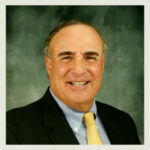 Dr. Feldman worked for three years in private practice before opening his own practice in Montgomery County, MD in 1990. The practice quickly grew to two locations in Rockville and five doctors. Dr. Feldman was selected as one of Washington’s “Outstanding Physicians” by the Washington Consumer’s Checkbook Magazine in 2007. Dr. Feldman was again selected as one of the areas “Top Doctors” by the Washingtonian Magazine in 2010. Dr. Terry Kwak is a Board Certified Ophthalmologist with subspecialty training in corneal and LASIK surgery. 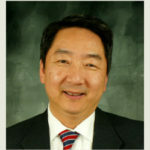 He received his undergraduate degree from the Honors College of Kent State University and received his medical degree from Jefferson Medical College in Philadelphia, PA.
Dr. Kwak completed his ophthalmology training at the State University of New York Health Science Center in Brooklyn (Downstate Medical Center). Subsequently, he completed advanced fellowship training in cornea and refractive surgery at the Weill Medical College of Cornell University in New York, where he gained extensive experience in treating corneal and external disease, corneal transplantation surgery, and laser vision correction. He is a member of the American Academy of Ophthalmology, American Society for Cataract and Refractive Surgery and the American Medical Association. 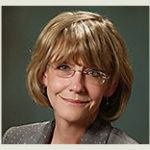 Dr. Shannen K. Allen is a Board Certified Ophthalmologist. Her undergraduate degree is from Carnegie Mellon University in Pittsburgh, Pennsylvania. Following a research fellowship at The National Institutes of Health in Bethesda, Maryland. Dr. Allen went on to receive her medical degree at The Johns Hopkins University School of Medicine in Baltimore, Maryland. She completed her ophthalmology training at Georgetown University Medical Center in Washington D.C. Dr. Allen is a member of the American Academy of Ophthalmology and the American Medical Association. Dr. Surig is a Board Certified Ophthalmologist. Her interest in the eye started with her 4th grade science fair project and has never stopped! She received her bachelor of science degree in Medical Technology at Indiana University and graduated with highest distinction from Indiana University School of Medicine. She continued her interest in eye disease and surgery at Case Western Reserve School of Medicine. Dr. Surig moved to Maryland In the early 1980’s to practice for several years in southern Maryland specializing in general and surgical ophthalmology and diabetic eye disease before she moved to Montgomery County. She is a member of the American Academy of Ophthalmology and the Montgomery County Medical Society. She has been a very active volunteer in the Montgomery County School System and in Project Access, Montgomery Cares, a volunteer organization that delivers heath care to the poor in the county. 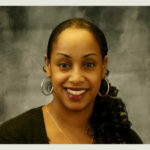 Dr. Courtney G. Goode is a Board Certified Optometrist. She graduated with high honors from the Pennsylvania College of Optometry at Salus University. 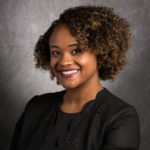 Dr. Goode completed a UC Berkeley affiliated primary care residency at the VA Central California Healthcare System in Fresno where she received extensive training on the medical management of ocular disease, pre and post-operative care, binocular vision, and providing visual aids to low vision patients. She received her undergraduate degree in Neurobiology and Physiology from the University of Maryland, College Park. Dr. Goode is an active member of the National Optometric Association.